We create a program that helps you develop the specific skills you need, while working at your comfort level. Not only do we help you communicate fluently, we also help you with the skills you will need for daily life and employment in Canada, from reading bills and receipts… to preparing job applications… to working in the Canadian workplace environment. Grade Learning specializes in preparing adults for the next step in their lives, whether that is being able to perform everyday tasks, returning to school or finding a new career. √ Our Workplace ESL programs are offered in many formats guaranteeing that there is a program ideally suited for each of our students! √ Our ESL courses are designed to support you as you increase skill competencies that are specifically geared to your career goal. √ Each of our programs begin with an ESL Assessment using the standardized Canadian Language Benchmarks (CLB). Work Preparation Program $375/Week (25 Weeks Long): This 25 week program combines language, Essential Skills and computer training in order to prepare you for employment with the skills you need for workplace success! For $375 per week, the Work Preparation Program will help you become job-ready. Employment English Program $750/Week (8 Weeks Per Module): This program focuses on the oral communication skills (listening and speaking) you need in order to obtain an entry level position in the workforce. There are four modules in this program, each 8 weeks long. Based on your assessment results, we’ll start you off at the level that fits your needs. Academic English Program $25/Hour (Program Length Based On Assessment Results): The program is ideal for those who will be applying their English skills in post secondary studies or workplaces requiring an equal balance of reading/writing and listening/speaking skills. 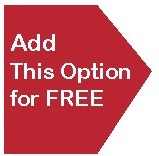 Work Integration Program: Add this option to any Grade Learning ESL program at no extra cost! You’ll attend your regular program three days per week. Two days per week you’ll practice your English skills in an entry-level work environment as a volunteer in your community. We’ll arrange your position for you within two weeks of enrolment. Click here to download a printable PDF of our Workplace ESL Programs. Our programs are delivered by certified TESL instructors. Our programs combine Canadian Language Benchmarks with the Essential Skills valued by today’s employers – all of our lessons help you develop practical, everyday English language skills. All of our programs are English speaking only; we immerse you in the language so that you quickly achieve your personal and employment goals. Please contact 1-800-208-3826 to find a campus near you and book your FREE INITIAL CONSULTATION. Our students experience total language immersion as they develop the listening, speaking, reading and writing skills they need to succeed in their daily lives or careers.